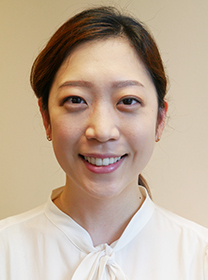 Hyun “Monica” Kim joined the Penn Memory Center in 2017 as a neuropsychology practicum student. In this role, Monica will administer neuropsychological assessments to patients and research participants and will assist Dr. Dawn Mechanic-Hamilton with the Cognitive Fitness Program. Monica, a doctoral student in Clinical Psychology at Boston University, earned her Master of Science from Korea University in neurobiology and her bachelor’s degree in psychology from University of California San Diego. Monica is interested in translational research in the context of cognitive rehabilitation to enhance cognitive and emotional functioning in the aging population. Monica is particularly interested in exploring the role of sleep in neuropsychological outcomes. Her previous research involved cross-sectional and longitudinal association between sleep/sleep disorders and structural MRI and neuropsychological performance in various epidemiological settings. During her time at PMC, Monica is hoping to deepen her knowledge in neurodegenerative and memory disorders and gain experience in delivering cognitive and behavioral interventions that will help individuals who experience cognitive impairment.